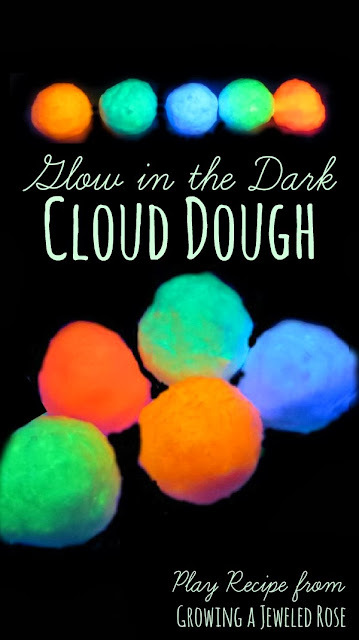 I have been trying to come up with a way to make our cloud dough glow for a while so I was so excited when this idea came to me! To make our glowing dough I experimented with different ingredients. Even though we used different ingredients this dough looks and feels a lot like regular cloud dough! 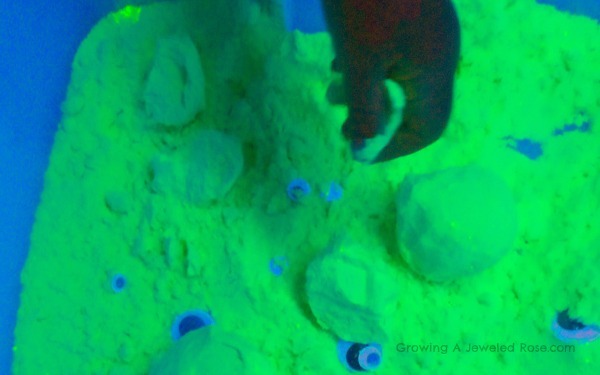 Add the baking soda along with a few drops of the glowing paint of your choice into a sensory bin or container. Then slowly add water until you reach the desired consistency. You want the dough to be slightly damp and mold-able. If you accidentally add too much water, just add more baking soda. A small amount of paint will give you an amazing glow.... add more if needed. 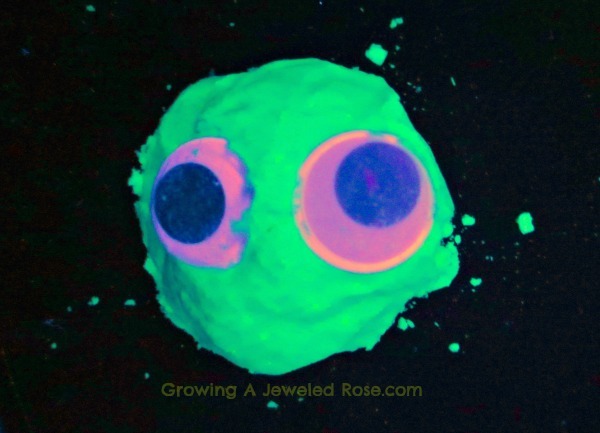 You can use regular glow in the dark paint for amazingly glowing green dough or you can use fluorescent paint to make a whole rainbow of glowing cloud dough colors. 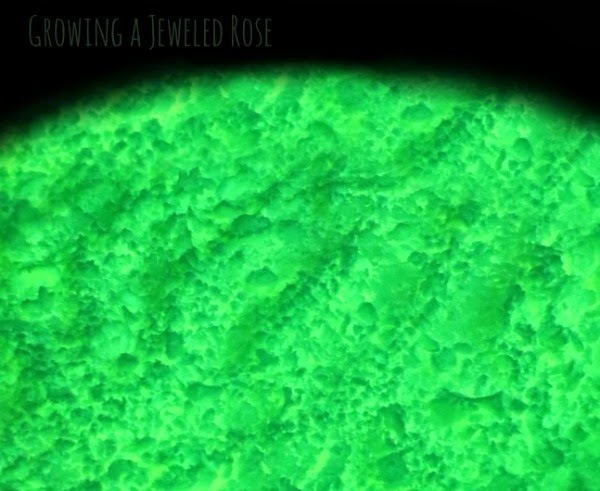 You will need to charge the glow in the dark dough by a light source right before play. 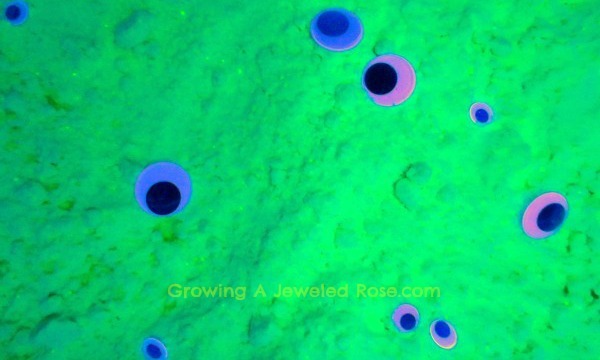 If using fluorescent paint to make your dough you will need a blacklight. No matter what paint you use this dough is SO FUN! It feels almost EXACTLY like cloud dough. It is soft and powdery but also very mold-able. It actually holds it's mold a touch better than cloud dough does. 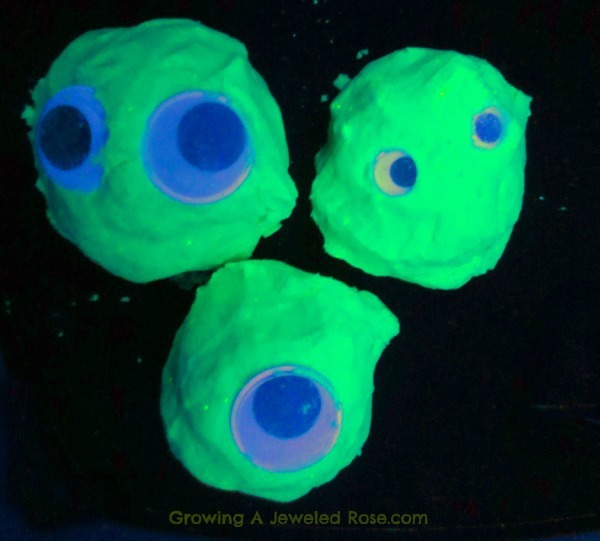 The first time we mixed up a batch of this fun glowing dough I decided to throw in some googly eyes so that Rosie could make sensory monsters. 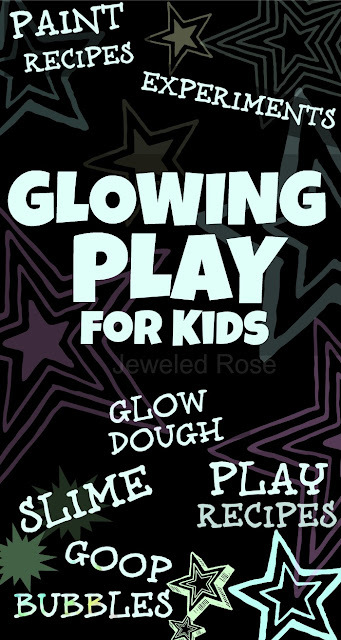 Since that first play time we have found so many other ways to play with this amazing glowing dough. 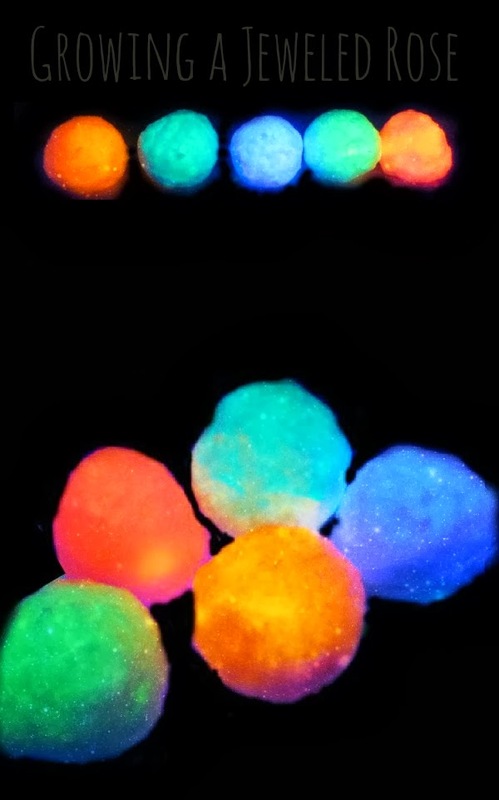 Visit our Glowing Play Collection for LOTS more FUN!